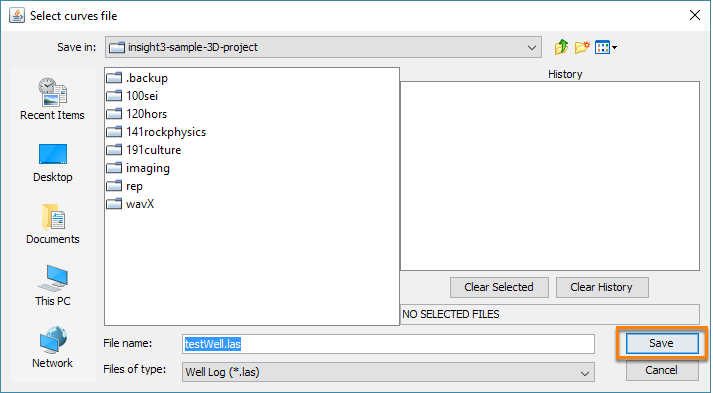 You can export the log curves of a well or multiple wells simultaneously. 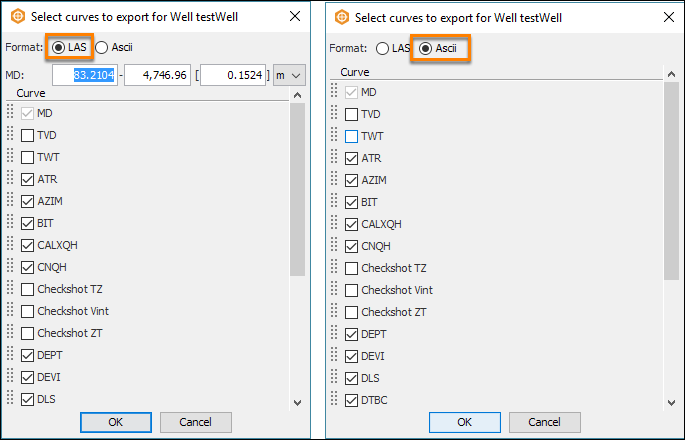 In the wells tree, select the well that you want to export the curves. You can also select multiple wells to export the curves. Right-click the selected well(s), click Export and select Curves. At Format, select whether to export the curves as a LAS file or an ASCII file. If you choose to export as a LAS file, input the range and increment of the Measured Depth of the curves. Select the curves to export by clicking the check boxes. Browse to the directory where you want to save the curves and type a file name. 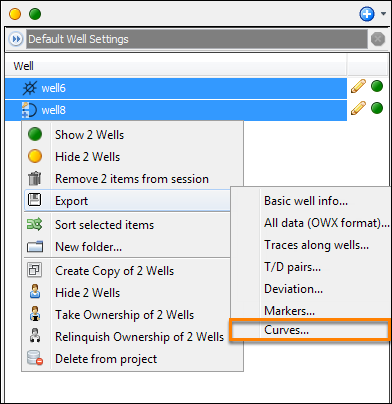 For exporting curves of multiple wells, select a folder where you want to save the curves.